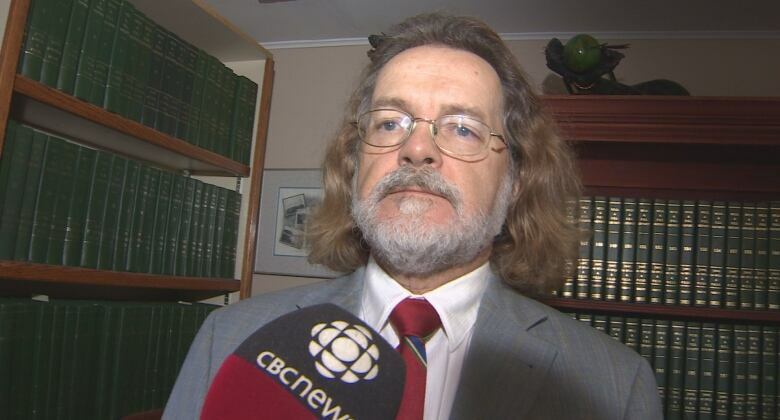 St. John's Lawyer Bob Buckingham says Exploits Valley Air Services, which was working for Air Canada, bears responsibility for the crash at the Gander Airport in 2016. 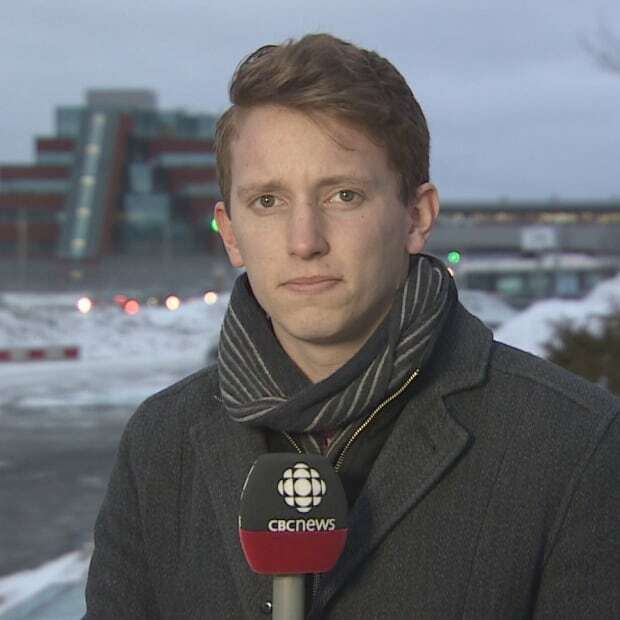 Air Canada and Exploits Valley Air Services bear the most responsibility for a flight that crashed on landing at the Gander Airport in 2016, according to a lawyer representing its passengers. Bob Buckingham, who is working for 12 passengers of Air Canada Flight 7804, says a Transportation Safety Board report released last week lays responsibility on the pilots and operators of the flight. 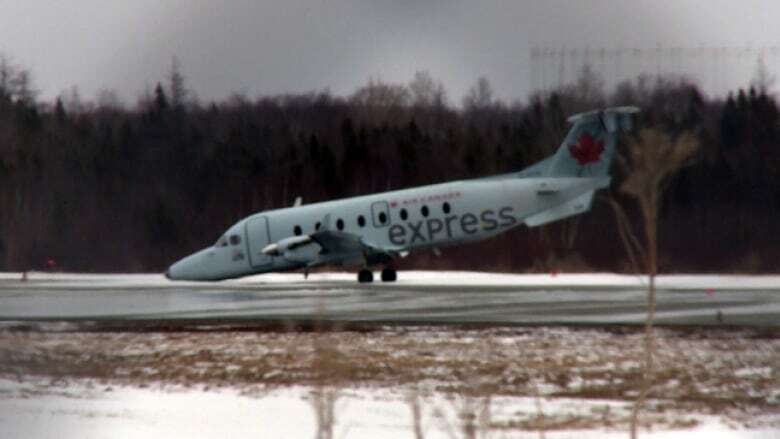 Exploits Valley Air Services was flying a Beechcraft 1900 Plane under the Air Canada Express brand on April 20, 2016, when it crashed upon landing at the Gander Airport. "[The report] seems to lay the responsibility for the accident on Air Canada and EVAS, and it seems to suggest that the other parties involved in the plane taking off and the plane landing are without responsibility," Buckingham told CBC Radio's Central Morning Show. According to the safety board, the flight landed towards the right side of the runway in Gander and veered further towards the right upon landing. The plane ran into compacted snow and the landing gear collapsed. Three people were hurt in the crash; board investigators said blowing snow and high winds during a storm that evening contributed to the incident. The board also reported that "neither pilot had considered that the combination of landing at night, in reduced visibility, with a crosswind and blowing snow, on a runway with no centreline lighting, was a hazard that may create additional risks." Although he said he did not want to "argue the case in public," Buckingham said the findings place some blame on EVAS and its pilots. "I think that's what it says, that the pilots and EVAS didn't do their due diligence with respect to this landing," he said. "That's … a layperson's bottom-line view of the matter." "You can have a look at the report and see what they say about all of the parties involved and what they were doing with respect to training, education, and decisions that were made that night." The safety board does not determine criminal or civil blame in investigating accidents, though its reports are sometimes referenced in courts. Buckingham said his class-action efforts will continue, and if his analysis of the report is correct, he will shift his attention towards Air Canada and EVAS. The lawsuit has not yet been certified as a class-action in court, but hearing are ongoing. Buckingham said he plans to have the crash report reviewed further with technical experts, and with the clients he represents in his class-action effort. He will eventually put forward a proposal to resolve the matter, he said. "[The board's] findings are going to be fairly informative in terms of how not only we pursue it, but how the defendants respond to it and come to the bargaining table with us to negotiate a resolution of this." A spokesperson for Air Canada said the company could not comment directly on an ongoing court case. However, the company did say in a separate statement that it would be reviewing the report with Exploits Valley Air Services, "particularly those that pertain to areas of potential further safety improvements." "Air Canada works closely with all its regional partners, as well as government agencies, on an ongoing basis to ensure safe operations at all times and that all necessary safety processes are in place," said spokesperson Peter Fitzpatrick. A representative from Exploits Valley Air Services has not responded to multiple requests for comment.